Catherine has a long established, well- deserved reputation as being one of the country’s leading barristers in the field of private children cases. Appointed in 2007 as a family law Recorder Catherine is able to draw on her extensive experience both as advocate and Judge when representing clients. Frequently instructed in protracted and complicated disputes, often involving an international element, relocation, allegations of sexual abuse, parental alienation and expert evidence. Recognised for her expert international children practice, particularly when it comes to matters concerning abduction, parental alienation and sexual abuse. She brings her experience as a judge to bear when handling complex cases. She is experienced at representing high net worth and high-profile individuals. Recognised for her expert international children practice, particularly when it comes to matters concerning abduction, parental alienation and sexual abuse. She brings her experience as a judge to bear when handling complex cases. She is an extremely reassuring presence in the courtroom and fights hard for her clients. Is highly respected by some of the most prominent names in family law for her work in private children law matters with serious complicating factors. Has a deeply respected children practice focusing principally on complex and very contentious private law proceedings. Her cases often relate to the relocation and abduction of children. Has gone from strength to strength since taking silk in 2011 and is particularly noted for her efforts in serious private law children cases, especially those concerning sexual abuse and parental alienation. 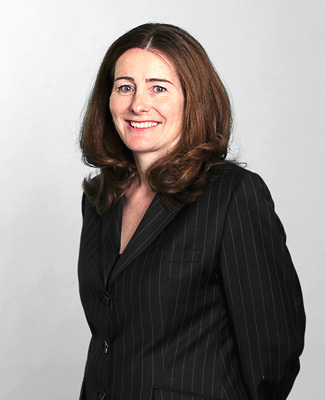 Catherine Wood QC has thrived since taking silk in 2011. One instructing solicitor said that “she is incredibly helpful and authoritative – she is my go-to person when I don’t know what I’m doing.” Wood specialises in private law children work, including Hague Convention cases. Catherine Wood QC, who is “superb on every level, technically brilliant, relaxed and reassuring with clients.” She was regarded as “the best junior private children lawyer in the country,” and is expected to continue to impress in silk. Recently appointed silk Catherine Wood QC is also highly recommended. Catherine Wood who has ‘excellent instincts’ and ‘an assured touch with clients and judges alike’. “Calm and understated,” according to interviewees, Wood “does not add personal drama to already charged situations.” Matters in question include private law disputes over contact and residence, as well as public law disputes concerning neglect, abuse and the continuation of medical treatment. Catherine Wood is ‘a children specialist with excellent instincts, and an assured touch with clients and judges alike’.